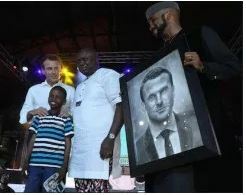 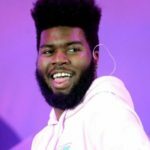 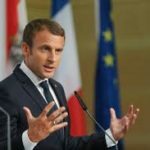 Kareem Olamilekan, 11, artistically drew a portrait of president Emmanuel Macron of France during his visit to the New Afrikan Shrine in Lagos. 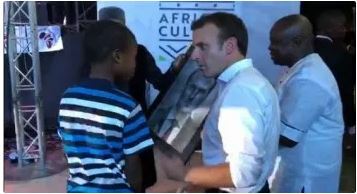 The visiting president emphasised on the importance of the shrine to the African culture. 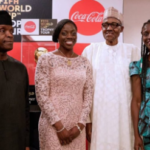 Also present at the event were Nigerian senator, Ben Murray-Bruce, Nobel laureate, Wole Soyinka and Veteran Nollywood actor and actress Olu Jacobs and Joke Silva.